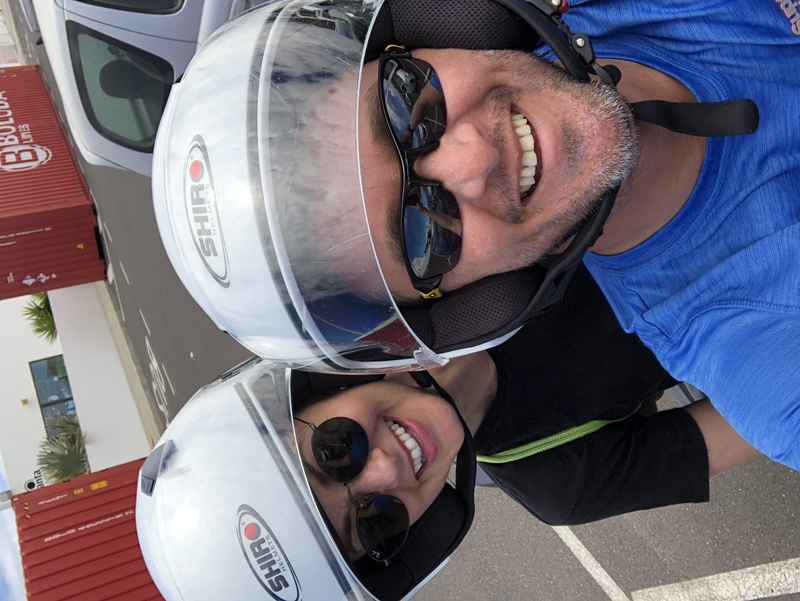 June has been a big month for Team Nagi racing as you will see below. What was wonderful to see was so many people raising their game and so many first-timers taking the plunge at a range of distances. We are well and truly into race season now and I take great pride in watching the evolution of our athletes from race to race. There has been some brilliant performances for so many reasons, I take my hat off to many of you who took that next step into the unknown in June. Our swim squads also returned to their spiritual home at David Lloyd Acton Park(formerly The Park Club) and it has been well and truly worth the 11 month wait. The club, staff and facilities are second to none and it has been a joy to walk back out poolside each day. 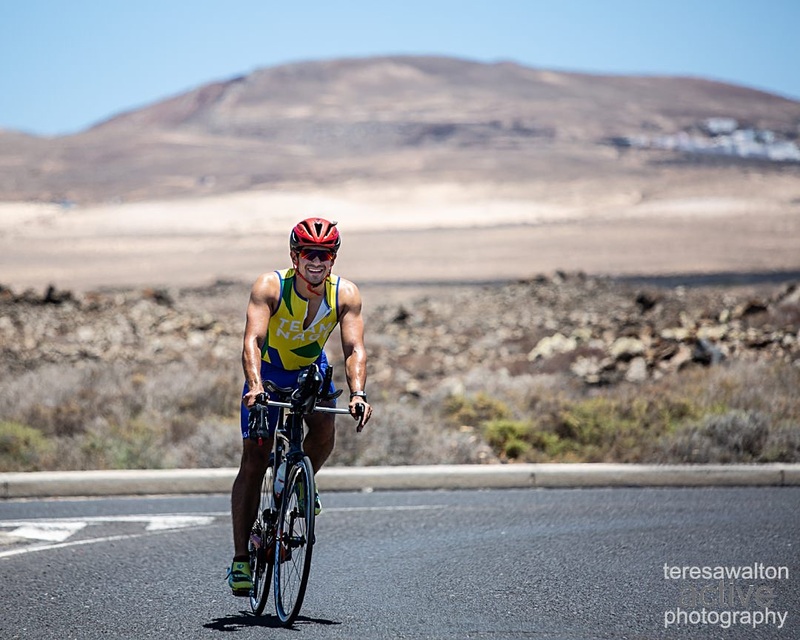 We also saw the hugely successful launch of Team Nagi training camps in Lanzarote. This is something I’ve wanted to for quite some time but wanted to find the best venue to do this. 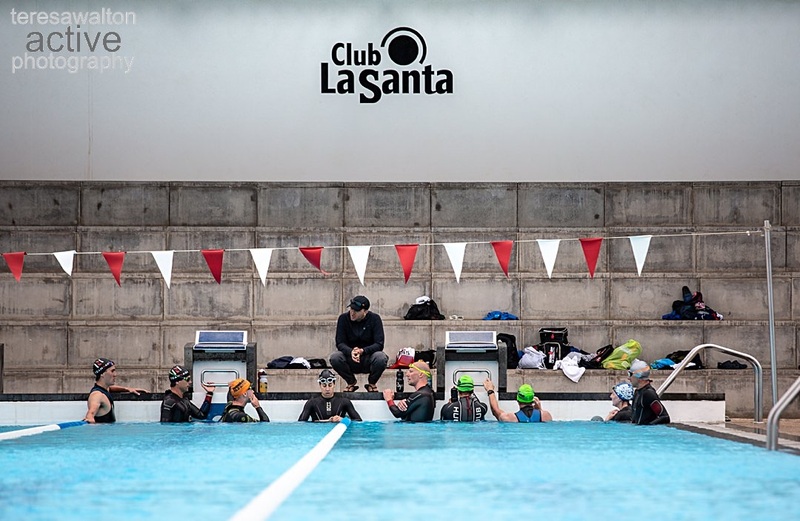 Club La Santa proved to be the perfect training location as you will see in the images below. The climate was perfect and the attitude of the athletes taking part was also second to none. I want to say a big thank you to all my athletes that came out from all over the world and worked so hard. 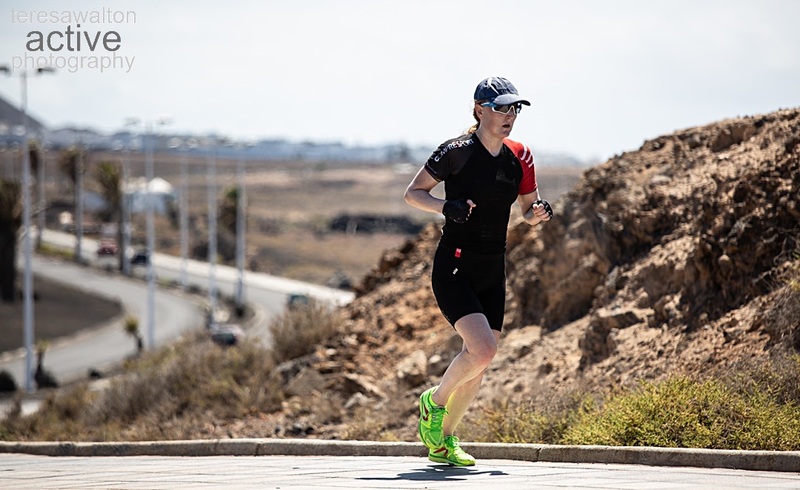 Lanzarote is both brutal and beautiful at the same time and you have no option other than to lift your game whilst training out there. It’s no surprise that most of the athletes that came out are performing at another level as some of the race results below will show. The numbers were limited to just 10 athletes to retain the quality of the individual attention I could provide during the camp. 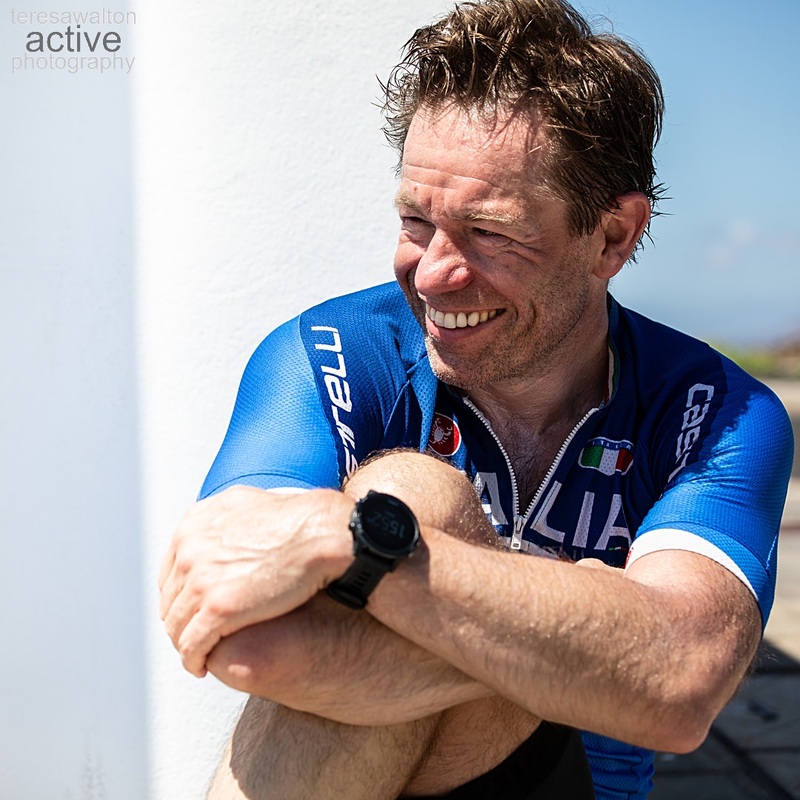 As much as it was a camp, each persons training was also tailored to their strengths, weaknesses and up and coming races. This I believe it the key to a successful training camp, it’s not just about everyone doing the same thing, knowing your athletes and the implementing individuality into their training is key for success. When you do this its clear that athletes start to thrive. What also helps them is to be around like-minded individuals with a huge positive passion for life and sport. When good people get together great relationships are forged and they encourage and inspire each other like never before. For me this kind of connection and interaction was what made the camp and I will look to run a further two camps next year, dates to be announced shortly. So well done too all of you for an incredible month of June, you will only keep going from strength to strength from this point forwards. I also wanted to say a huge thank you to swim squad member and Uber photographer Teresa Walton of Teresa Walton photos who came out and took some of the wonderful photos you see both above and below. As ever T was able to capture the spirit of the camp and the personality of the athletes. I think the images speak for themselves, I can’t recommend her services highly enough. This was a huge step up in distance and racing from our man from Italy. He didn’t disappoint and put in one of the best races of his life on a tough course in even tougher conditions – molto bene Stefano! 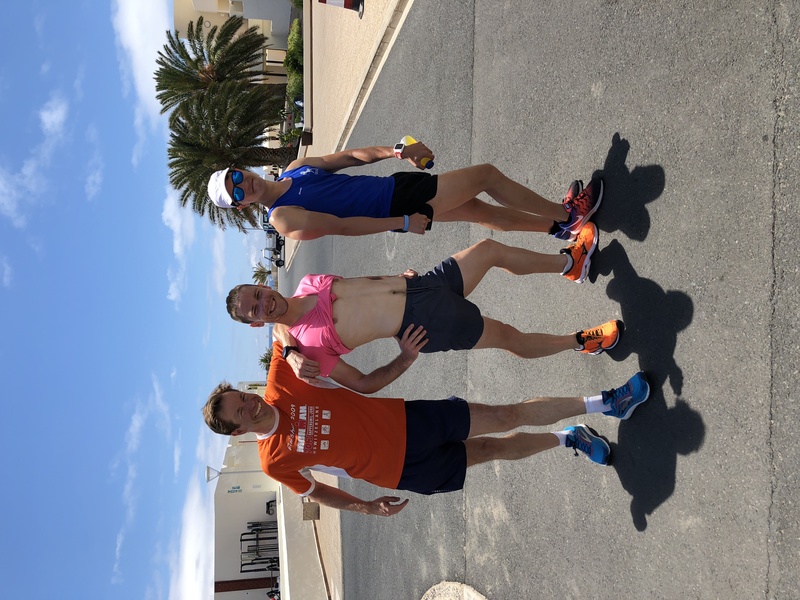 To say that Adam lifted his game at the Lanzarote training camp would be a huge understatement. A true camp warrior in every sense of the word. Anyone who saw his improvement on the camp wont be surprised by this fantastic result only 7 days later. Huge congrats JC on the fastest swim split of the day & automatic qualification for the triathlon World Champs in Lausanne next year! A big turn out for at Windsor for the team, it sounded like a great day and well done to all. 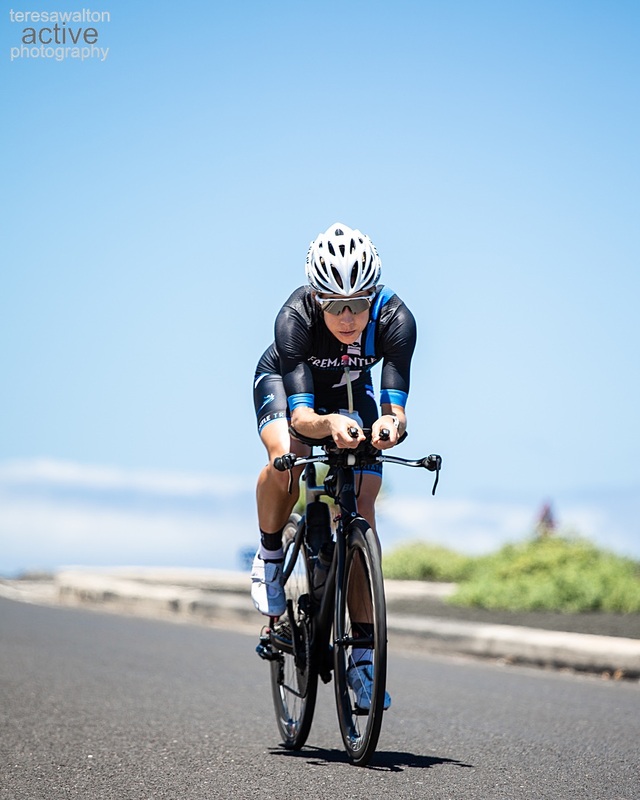 A podium finish, this lady continues to inspire after a horrific bike crash last year. Keep going from strength to strength FW, you’ve moved mountains already. 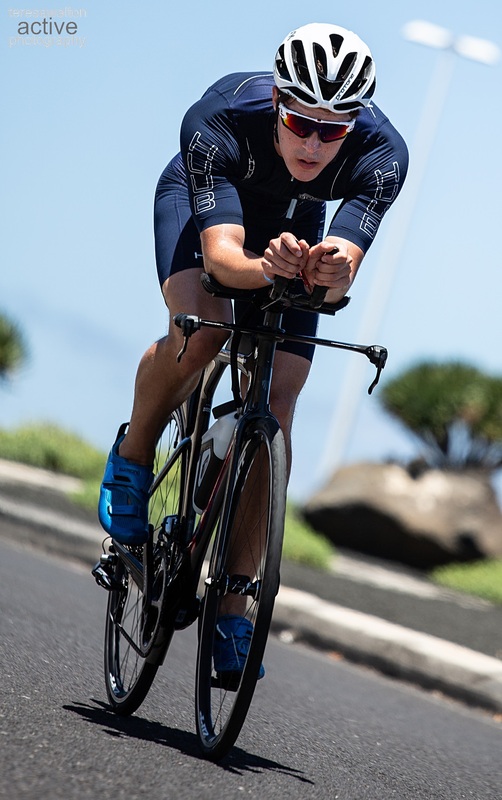 A star of the team training camp in Lanza and a lifetime best performance from Toby over this distance and his highest ever position. Always a gritty performer who never disappoints. A brilliant run topped a great day for H.
Not bad for an Irishman who once told me he couldn’t run to save his life. 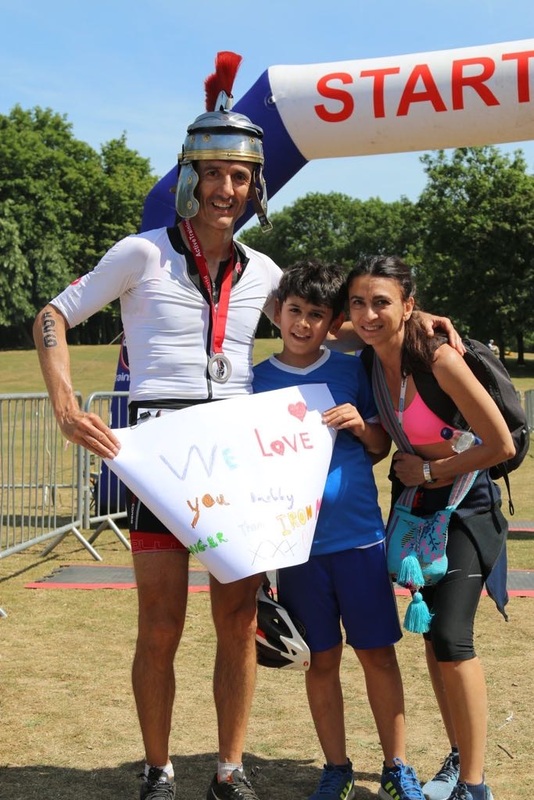 A brilliant debut Olympic distance effort. Our very own ‘Mr Motivator’ himself with a fantastic new PB over this distance. Another great performance pulled out of the bag on very little training. The usual blistering swim from JT in her first race of the year. A great result and motivation to move her game on to the next level. Nice work Dr in your first outing this season. A big moment from the man from Wales completing his first Olympic triathlon in style. 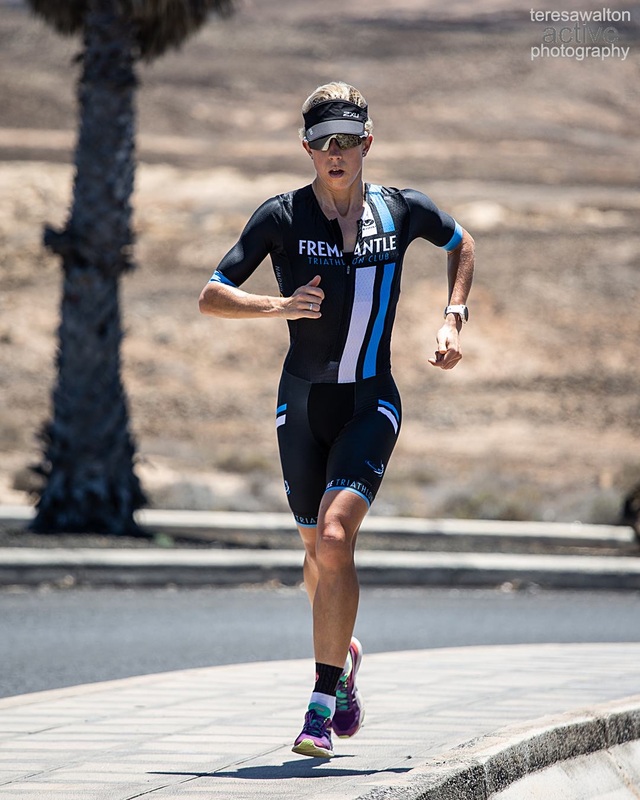 So pleased for this gutsy lady, a massive step up in distance and commitment in training. The picture below speaks a thousand words. 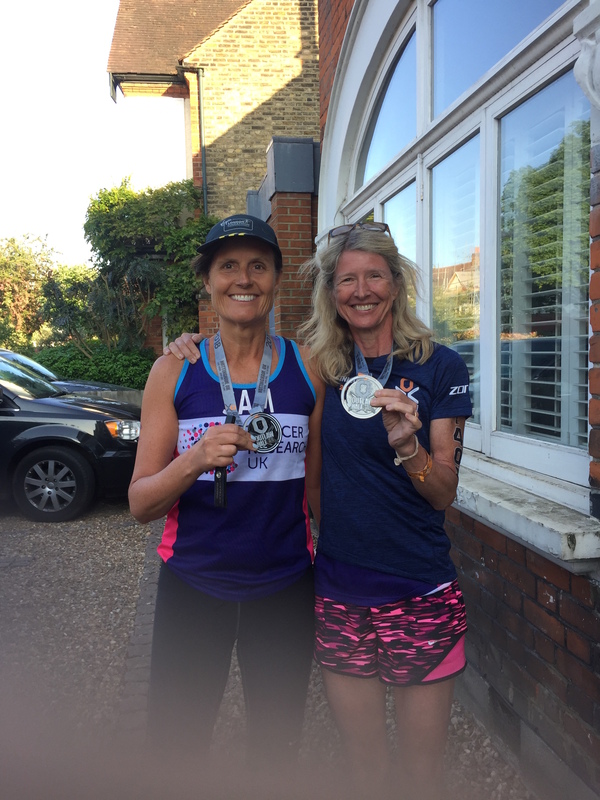 Huge congratulations to these two lovely ladies on completing their first Half Ironman. In another life you would have been a…..? I’d have liked to have been a professional tennis or cricket player, but wildly lacking in appropriate talent levels. 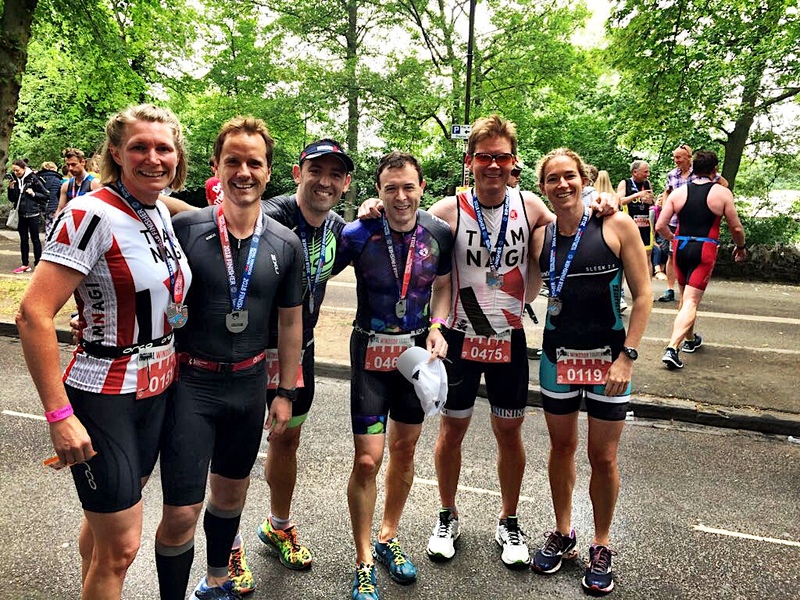 Anything in a group that involves pushing yourself – so group time trials or major bike climb. Also love early morning open water swims, although possibly it is the post swim bacon sandwich that is the draw. Swimming in a pool solo for long periods is beyond me. What?! 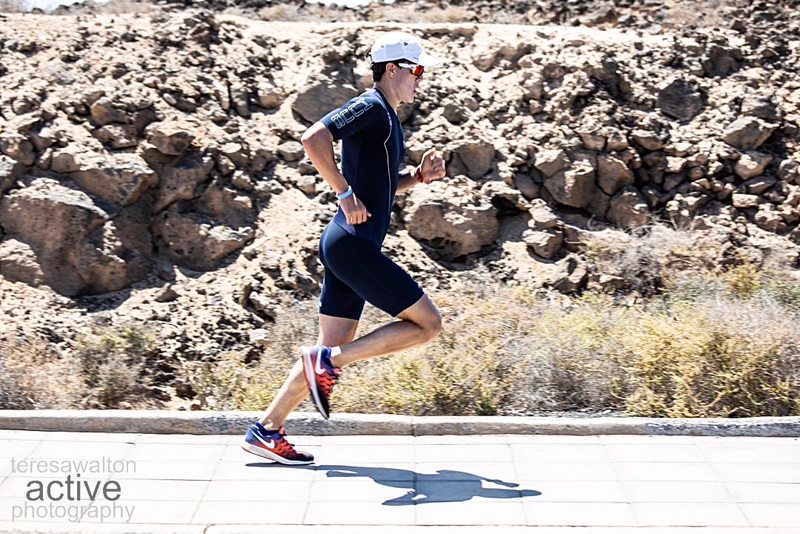 I have never trained at a track – am I missing something?! 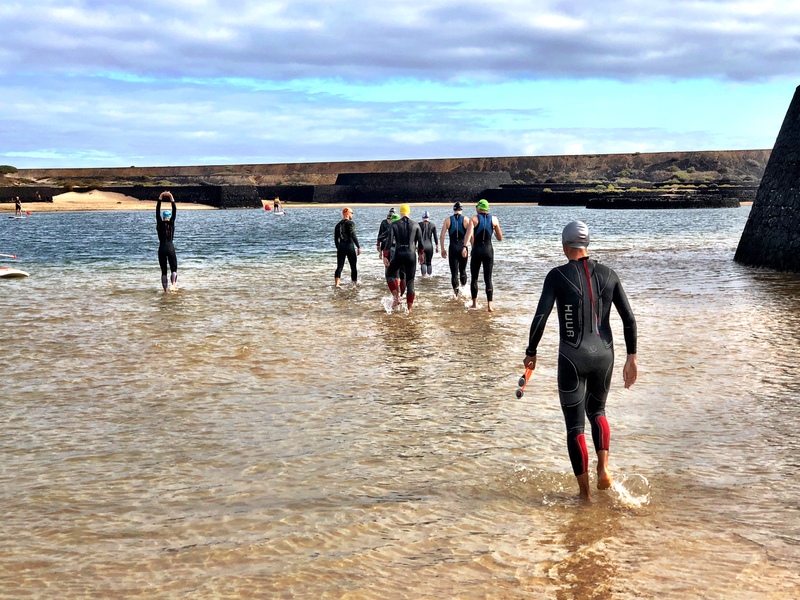 You attended the Team Nagi training camp in Lanzarote recently, how did it go? Epic. It was a surprising motivator during March / April to make sure I could get myself to the start of the week in suitable condition i.e. fit and able to complete 7 days solid training….…. possibly more of a motivator than my A race. 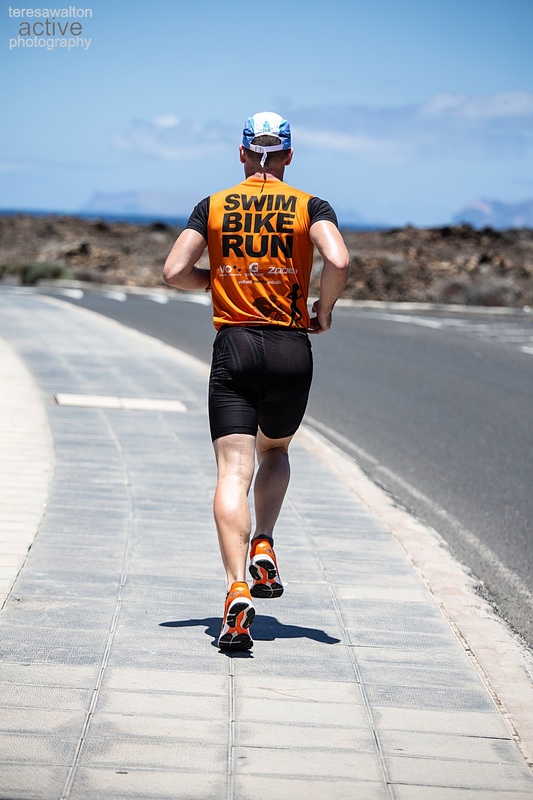 Loved the whole experience – from meeting a new group of people, training in perfect conditions, learning about training / triathlon to managing to complete the whole week (33 hrs) without any fatigue or injury issues. It had a huge impact on my race times, particularly on the bike. What was your race focus this year ? 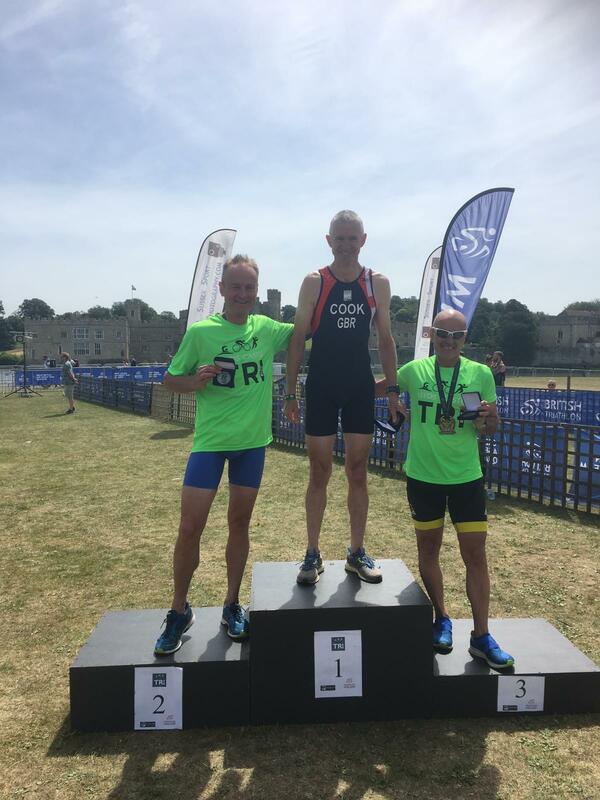 Unlike the rest of the planet, I wanted to move from longer to shorter distance, so sprint and Olympic distance, with Windsor my A race. 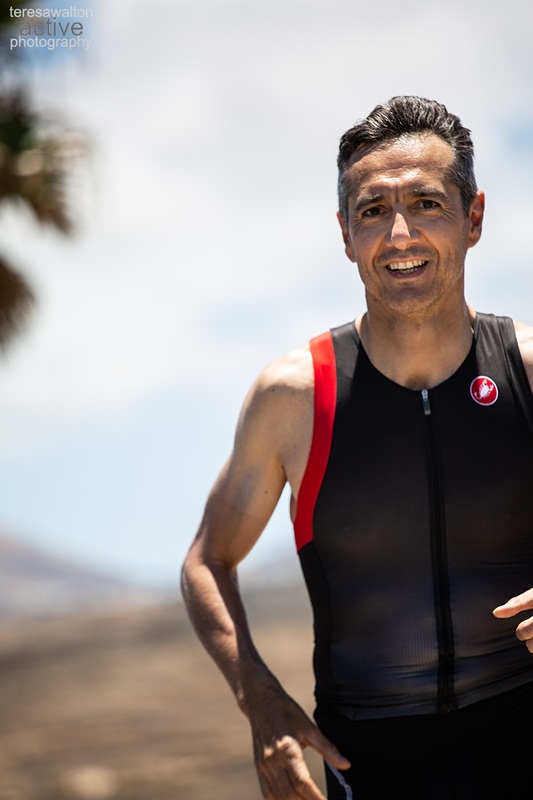 Really more about getting fit and healthy and being able to compete in several different events, as I enjoy the actual races. No idea. 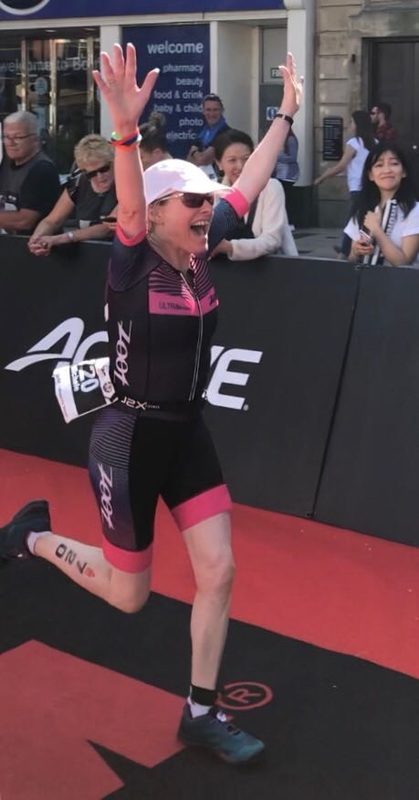 This year I made huge improvements in biking, swimming and overall fitness / strength, but for the second year in a row could not run consistently due to calf / achilles issues. So I want to address that and get my running up to speed next year; so my aim to be able to swim, bike AND run, not just swim/bike. 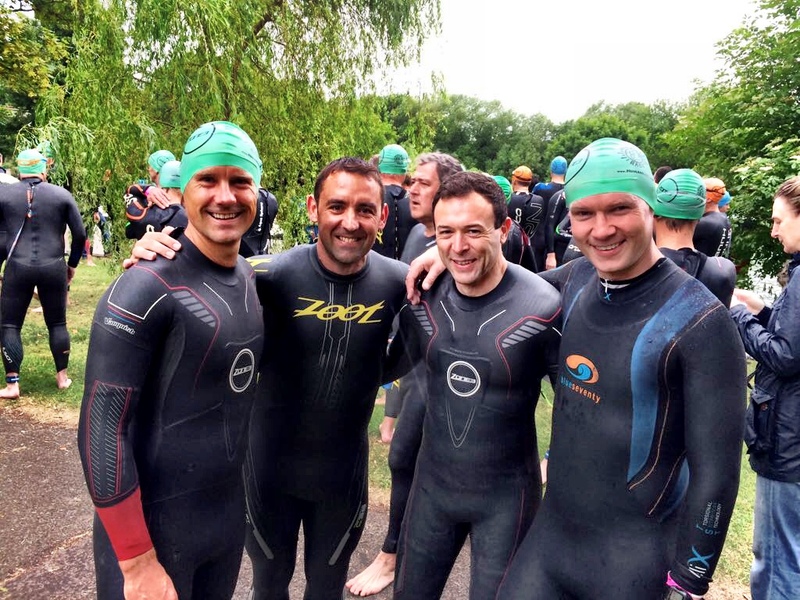 Am probably better suited to shorter, faster events, but I also love the challenge of Ironman. Increases in fitness are also encouraging me to look at challenges outside of triathlon, such as high-altitude trekking / mountaineering.